Wilson is calling for an immediate investigation by the federal Surface Transportation Board to help return 22 miles of railroad tracks in Warren and Essex counties to local control, enabling towns and villages to stop the storage of thousands of railcars inside the Adirondack Park. Wilson, a Democrat from Keene in Essex County, also called for Rep. Elise Stefanik (R-Willsboro) to break her silence and finally take action to protect her constituents. “The Adirondack Park is not a junkyard, and the residents of the North Country deserve a voice in determining how our land is treated and protected,” Wilson said. 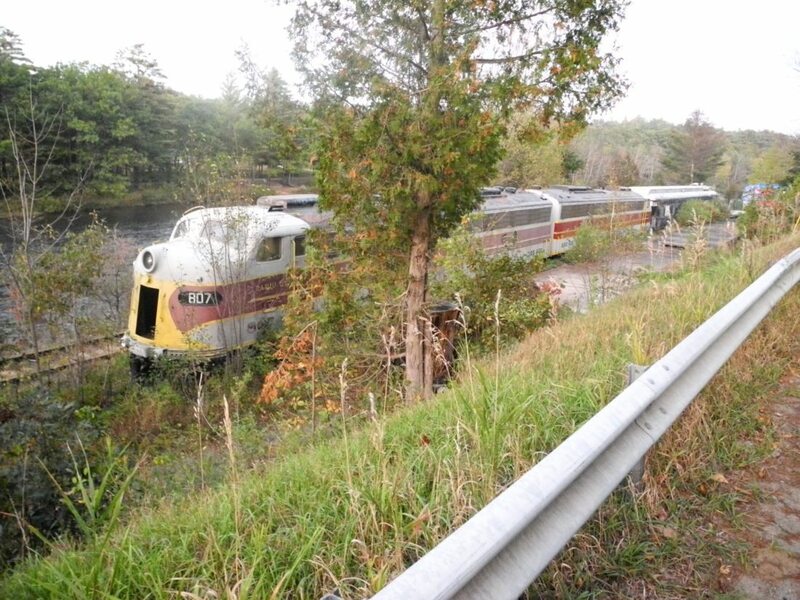 “Storage of hundreds of unused oil-train cars in the middle of the Adirondack wilderness, along the Hudson and Boreas Rivers, represents a blight on the North Country, a danger to our communities, a harm to local small businesses and a betrayal by government officials, who never should have let this happen in the first place,” Wilson said. The Surface Transportation Board recently cemented its legal authority and federal jurisdiction over the Tahawus rail line – and Iowa Pacific Holdings, the company responsible for parking unused railcars on the 22-mile stretch of track — when it granted the company “common carrier” status in 2012, Wilson said. The ruling allowed Iowa Pacific to rebuild and use outdated segments of rail lines to transport World War II-era materials for refinement in New York. Now, the company intends to use this federally granted authority to turn the Adirondack Park into a parking lot for contaminated and unsafe tanker cars that pose a health risk to the environment and surrounding communities, Wilson said. Stefanik (R-Willsboro) said the issue has been brought to her by several local elected officials in the park, and she is looking into the matter. “We’ve encouraged them (local officials) to reach out to the DEC (Department of Environmental Conservation) and the state, which has jurisdiction over the park, to clarify what actions can be taken at the state level,” she said. Stefanik said she also does not want to see part of the park turned into a junkyard. “I understand that concern, and that is why we have been responsive to local electeds,” she said. Emily Martz of Saranac Lake, another Democratic candidate who lives in the Adirondack Park, also weighed in on railcar the issue. “Just because Iowa Pacific can store its cars in the Adirondacks doesn’t mean it should,” Martz said. Wilson and Martz among several Democrats seeking to challenge Stefanik in next year’s election, along with Russ Finley, a Republican from St. Lawrence County. A primary will likely be held next June to determine who will face Stefanik in next November’s general election. Stefanik was first elected in 2014, then re-elected in 2016.